With the federal Coalition continuing to dither on the issue of gas driving up energy prices, it’s community energy groups like Positive Charge that are leading the way, helping locals access affordable renewable energy – right on their rooftops. Positive Charge is a social enterprise committed to providing trustworthy, low cost and up-to-date energy saving advice, services and products to households, businesses, schools and community groups across Victoria and more recently in New South Wales. Yes2Renewables’s Andrew McArthur got along to speak with Lucy Best – Communications and Community Engagement Lead at Positive Charge to talk about the work they are doing to support local communities within Melbourne to improve their energy efficiency and to get their take on how important renewables are in shaping new community energy programs. Y2R: How did Positive Charge start? Lucy: Positive Charge was launched in February 2013 after our parent organisation the Moreland Energy Foundation Ltd (affectionately known as MEFL!) had managed a bulk buy program called Delivering Clean Energy Solutions (DCES). DCES was established to coordinate local governments’ role in facilitating community demand for clean energy products and services and was delivered to households across northern metropolitan Melbourne in conjunction with the Northern Alliance for Greenhouse Action (NAGA) region. DCES offered bulk buy prices on carefully selected products and services. These included solar electricity systems, solar hot water systems and electric bicycles. The uptake was encouraging – a total of 1176 registrations and an uptake of 25% through to purchasing. A small percentage of participants (18.6%) remarked that it was the information provided through DCES that gave them the confidence to seek an alternative supplier. MEFL concluded that there was an appetite from councils and households for assistance in selecting and implementing energy efficiency and renewable energy measures. Through the practical experience of delivering DCES and with complimentary support of the Social Traders ‘The Crunch’ social enterprise builder program MEFL advanced the model to launch Positive Charge. Initially we offered Solar power, LED lighting and electric bikes. Currently we offer Solar, LED lighting, energy assessments, general energy advice, draught proofing and insulation. We are also currently running a procurement for a hot water heat pump supplier and considering our next products and services, based on public and council demand and the adopting of emerging technologies. Y2R: Can you explain your working model with councils and how do new councils join your community programs? Lucy: Positive Charge partners with a range of councils in different ways. Each council we work with has diverse communities, priorities and budgets. We aim to work with each council to develop a program of activity that will best suit the needs of the local community. Most councils that work with Positive Charge pay a base subscriptions, so that they can promote our energy helpline service. They then add campaigns that they pay us for. For example the City of Stonnington bulk bought 100 home energy assessments, so that they could offer them for free to residents and then Positive Charge provided council with reporting on opportunities available and action intended. We then conducted follow up and provided council with our findings. In some instances Positive Charge will work with councils to project manage for them and they do not promote our broader service. For example the work we did with Darebin City Council on the Solar $aver program. Y2R: Can you give an example of one of your biggest success stories? Lucy: We have had a huge amount of success running solar campaigns through council channels. For example in the financial year 2015-16 we assisted in the installation of 2.41 MW of solar panels contracted across businesses and households. This demonstrates that there is still a huge appetite from the public to install solar. Our experience demonstrates that the things holding people back are confusion about what to do and distrust when they receive conflicting information or information that is too good to be true. When they hear about a council recommended service and that we have run the checks and measures on a supplier that we are happy to recommend sometimes that’s all it takes for people to jump at the opportunity. Y2R: How important are community programs in a broader transition to a renewable energy future? Lucy: Engaging the community is empowering and can help improve levels of optimism. People realise that they can make a positive difference and – in most cases – benefit themselves. Positive Charge tries not to comment on party politics but across the board in Australia and internationally there is a clear lack of action. Giving people the tools to act is a great thing. For many people, it is also encouraging to realise that their local council is taking action and that helps them feel like they can be a part of a broader movement – the ‘think global act local cliché! Y2R: What do you think about the Victorian Renewable Energy Target? Lucy: We strongly believe investment in future electricity generation should be applied to renewables and not coal – of any description! Social enterprises like Positive Charge show that community engagement and local solutions are crucial to transforming the energy system. Alongside other community energy groups around the state like Totally Renewable Yackandandah and the Macedon Ranges Sustainability Group they are leading the way on renewable energy while political representatives at the federal level dither. What’s more they demonstrate that growing renewables is good for the community, and ought to be above party politics – all political parties can learn from their leadership. Soon the Victorian Renewable Energy Target (VRET) of 40% by 2025 will head through state parliament. And once work begins building the 5400MW of new wind and solar farms to meet the target, more and more Victorians will benefit from access to clean, renewable electricity. 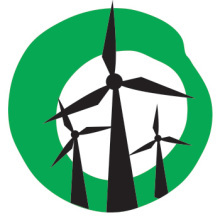 Supporting policies that grow renewable energy ought to be above party politics. As recent polling by The Australia Institute found, a massive 74% of Coalition voters support state renewable energy schemes like the VRET. By standing against the VRET, the Matthew Guy opposition’s current stance is out of step with the vast majority of his voters. Will he take the opportunity to re-align his party’s stance on energy with his pro-renewables base? Time will tell. Tired of anti-renewables spin? Take our future energy survey and make sure your voice is heard. Email opposition leader Matthew Guy and shadow renewables minister David Southwick to show you want to see bipartisan support for the Victorian Renewable Energy Target.